Here is a brief description how our sales & construction process works. 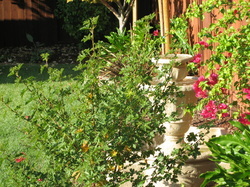 Proper planning is essential for any landscaping project just as it is for any other home improvement project. During initial meeting with sales consultant you will discuss your goals, objectives and must haves. We will discuss some possible ideas that might work. Our professional sales adviser will ask you number of questions to understand your needs, so we can properly propose solutions. During the planning phase budget allowed for project must be discussed. Creating a proper design is the single most important part of tackling a landscape project. We will help you to create a design that will complement your home’s architecture style, will be in harmony with its surroundings, and a garden that will suit your family’s lifestyle. Construction plans will drawn up using CAD software, that will show layout of all elements of the garden on a 2D plan. Drawings will be scaled drawings showing layout of elements, such as arbors, fences, decks, trees, plants and lighting etc. Plans are created with guidelines set by homeowners. There are limits to what we can draw in plans, the limits are set by CSLB, grading, & irrigation or any cut out section plans are not to be included, those must be drawn by architects. Most of our work is done thru our in house design capabilities. We will gladly work with already built plans by architects or landscape designers as well, the plans must be drawn to a scale. Any conceptual plans without a scale must be redrawn as scaled drawings. Our skilled crew will install your landscape in the shortest time possible. Most of work is completed by our skilled crew. To accomplish this we work at one project at a time our intent is to focus only one project at a time, but we found out it is just not possible. During beginning & ending of project more that one projects are overlapping, meaning we might have to go back to finish things at prior projects. During the construction phase job site will be properly cleaned at the end of each day. Fluent English speaker will be at job site at all times if you need to communicate with the crew for any changes, or any other issues. There are sometimes need to bring in subcontractors to complete the items we can not do ourselves, typically those involve electrical work, gas line work, and paint.